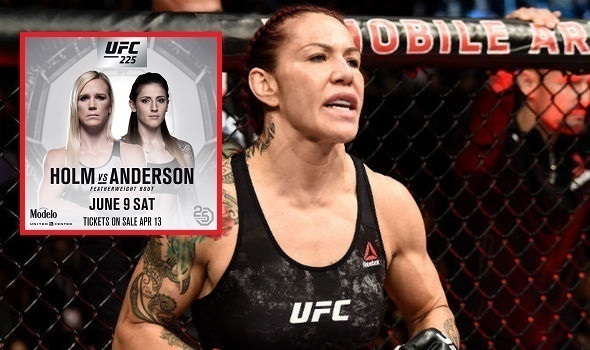 Cris Cyborg on plans for next fight: "Holm vs Anderson winner, then Amanda Nunes"
Since her debut in the UFC, Cris Cyborg has proved beyond a shadow of a doubt to be the best pound for pound female fighter in MMA, having gone without a loss in the sport an unbelievable 12 years. Among her winning championships in every organization she’s fought for, Cyborg cemented herself as possibly the greatest female MMA fighter of all time when she won the UFC Women’s Featherweight Title a UFC 214. In the early stages of her reign, Cyborg has mowed through the top contenders in her division such as Holly Holm, and most recently Yanna Kunistskya. With two dominant victories already in the division against the two of the best contenders they had to offer, many wonder if there is any viable competition left for Cyborg. One name that’s been brought on on few occasions has been featherweight contender Megan Anderson whom Cyborg was scheduled to fight last year but the fight never came to fruition. As of late it appears Holm has gotten herself right back into the title mix as she will face Anderson at UFC 225 in which Cyborg will likely take on the winner. Should Cyborg defend the title successfully in that fight, a highly anticipated super fight with UFC Women’s Bantamweight Champion Amanda Nunes would be on the horizon, of course Cyborg wasn’t happy how this all came together but in true champion fashion the result is cool with her as she expressed on the The MMA Hour. “I’m okay with the plan,” Cyborg said. The original plans for Cris Cyborg were for a fight with Nunes this coming July but that all fell through when the UFC requested the champion take a fight on short notice for UFC 222 against Holly Holm. Cyborg hoped desperately she’d fight Nunes or Anderson at UFC 226, but ended up turning out Nunes fought Raquel Pennington at UFC 224, then much to Cyborg’s surprise, the UFC booked at #1 contender bout between Holm and Anderson. Despite knowing Nunes injury will keep her out of action for a good while, Cyborg isn’t gonna be the one to wait until Nunes returns. Being that Cyborg is as dominant as she is in the cage, that be a very hard burden for UFC management as far as finding legitimate competition is concerned, mainly because the division has no depth. The company will address this issue in the form of the next season of the Ultimate Fighter, though not always in agreeance with certain moves that are made, the UFC Women’s Featherweight Champion is pleased how the company is showing commitment to her weight class. What do you think happen with Cris Cyborg in the UFC Women’s Featherweight Division?